We regularly fly people to Colorado on our evojets private jet charters, because there are few better places in the United States that offer the same snow fun. But of course, to really enjoy the Colorado skiing, you have to find a nice place to stay. Below are some of the top luxury hotels in the Colorado Mountains, and great choices for your luxury accommodations. Viceroy Snowmass – Known as one of the top resorts in Aspen, Viceroy has three bedroom and four bedroom “Guestrooms” that offer both excellent views and everything that you could possibly need to feel right at home in the mountains. The Ritz-Carlton, Bachelor Gulch – Over near Beaver Creek is the Ritz Carlton. The Ritz Carlton Bachelor Gulch has a warmth and comfort that bodes well for your enjoyable skiing experience, as well as Penthouses for those who want excellent space. Peaks Resort & Golden Spa Hotel – Over in Telluride is the Peaks Resort, known for its luxury accommodations. With views of the mountain and a very comfortable, modern interior, this is a great place to stay for those escaping the city life. Sky Hotel – The Sky Hotel over in Aspen has a considerable amount of character, and is certainly like none of the other luxury accommodations in Colorado. The Sky Hotel doesn’t have the large Suites that the other hotels do, but it makes up for it with personality and location. 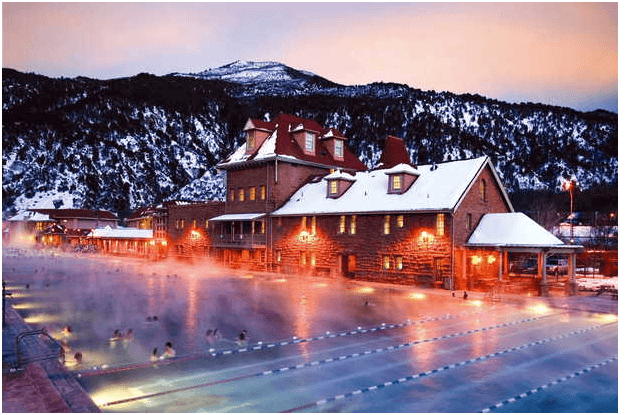 Dunton Hot Springs – Near Telluride, Dunton Hot Springs is not a hotel. It is a series of large and comfortable private cabins that have all of the features you want from a home away from home. Great for groups and perfect for the people who love the outdoors, Dunton Hot Springs is a nice little adventure for those who want to get out of the traditional hotel environment. Of course, most of your time is going to be spent outdoors, enjoying the snow. But every night, it’ll be nice to come home to the warmth of a good room in a great location, and that’s what you’ll find from the above accommodations.